After months of delays, the Sierra Lamar murder trial is set to begin Monday with the selection of alternate jurors and opening statements. Sierra, 15, disappeared on her way to a school bus stop March 16, 2012. Antolin Garcia Torres is accused of murdering her and hiding her body, which has never been found. 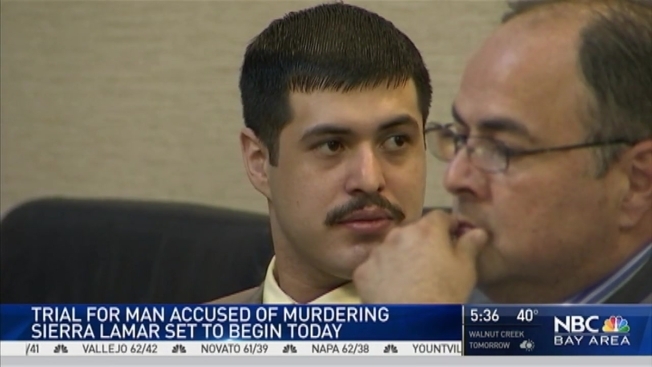 Prosecutors have said DNA evidence found in Garcia Torres' car and on Sierra's clothing found near where she was last seen link him to the teen's kidnapping and slaying. Sources close to the case told NBC Bay Area there will be no more delays. At 9 a.m. Monday, the two sides will pick eight alternate jurors then proceed with their opening statements. Legal analyst Steven Clark said the opening phase of the trial could be the most important part for the defense. "This jury is going to hear very damaging testimony against Mr. Torres," he said. "It is imperative for the defense to get their story out to the jury early so they have something to hang on to as the case moves forward." The defense has indicated it will argue it has evidence showing Sierra is a runaway and is still alive. Garcia Torres could get the death penalty if convicted.